Ted Baker commissioned Make to create five woodland insects using their new Autumn fabric designs. 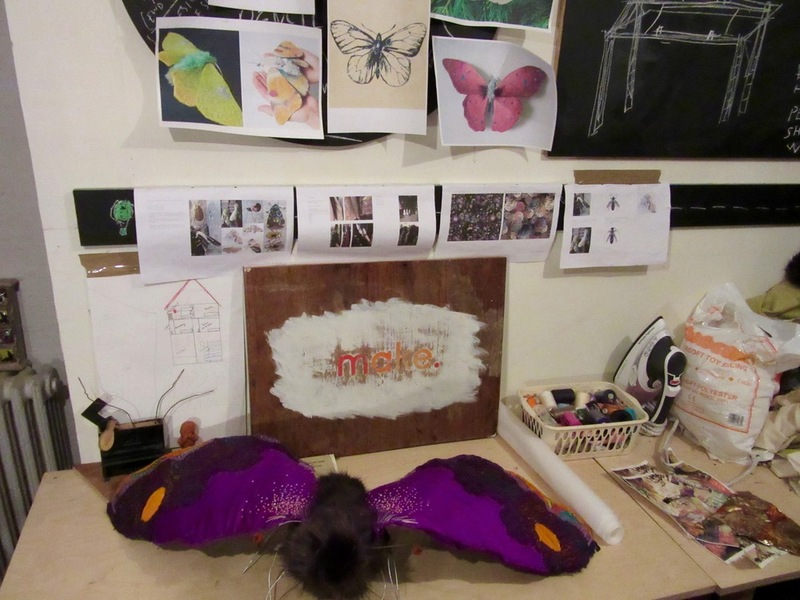 Using a wire mesh structure, the moths and butterflies have been hand stitched using long stitches, french knots and applique'. Great creative job and we are very pleased with the finished craft work.